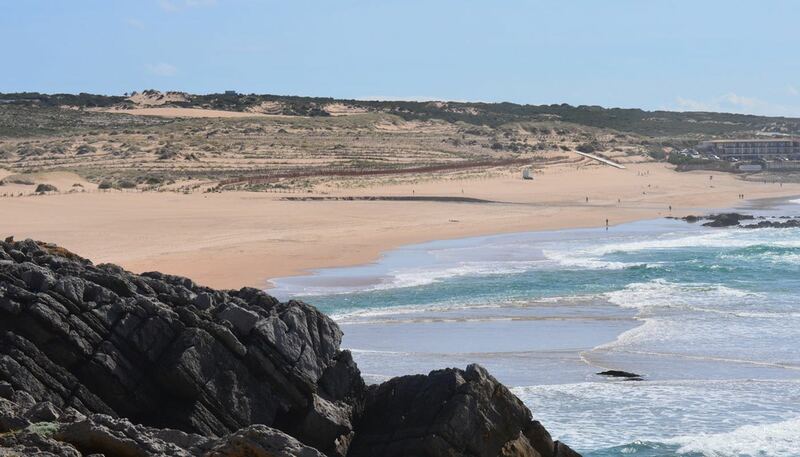 On the other side of the Tejo across the 25 de Abril bridge, Costa da Caparica starts just 11 km from Lisbon and stretches in all its sandy glory for 30 km. When the wind is right, it’s the perfect beach for catching wind if you want space and distance, but there are plenty of surf schools, cafes and beach bums if you’re feeling social. It’s even more popular with surfers, but if you crave space, just keep heading south, away from the developed areas, and you’ll find it. SUP is big here too. Costa da Caparica CDC LIVE as if you were there! Watch stunning views of Costa da Caparica CDC Beach Portugal, surfing conditions or kite surf in real time, waves and winds conditions from Live Beach cam. Costa da Caparica gets good afternoon winds and is a perfect place for beginners and experts alike. The main wind directions are N to SE, from March to October. While there seems to be plenty of room, there are pockets that are extremely crowded at times, especially on the weekends. There are several kite surf schools in the area, and several that come in from across the river when the conditions are good. The best swell directions are S to NW, and October through March gets the biggest swells. 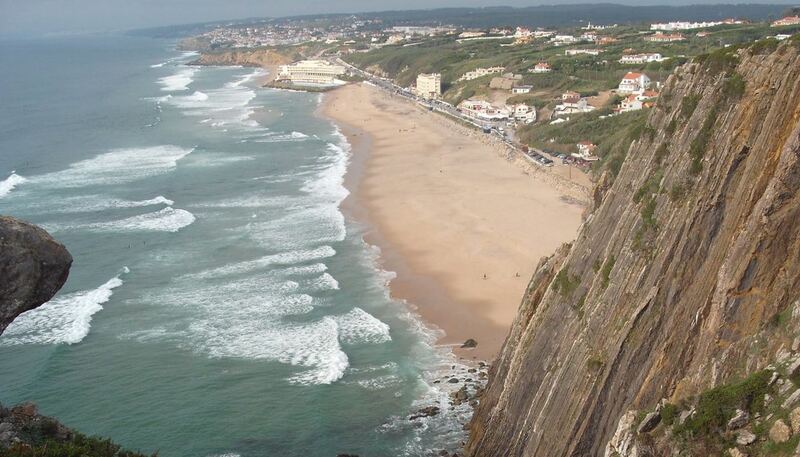 Costa da Caparica is ridable from 1 to 3 meters, during all tides depending on your location. Clean water, with a few currents. The north section has several jetties – during low tide, Covo do Vapor is quite popular, but watch out for locals and rocks. 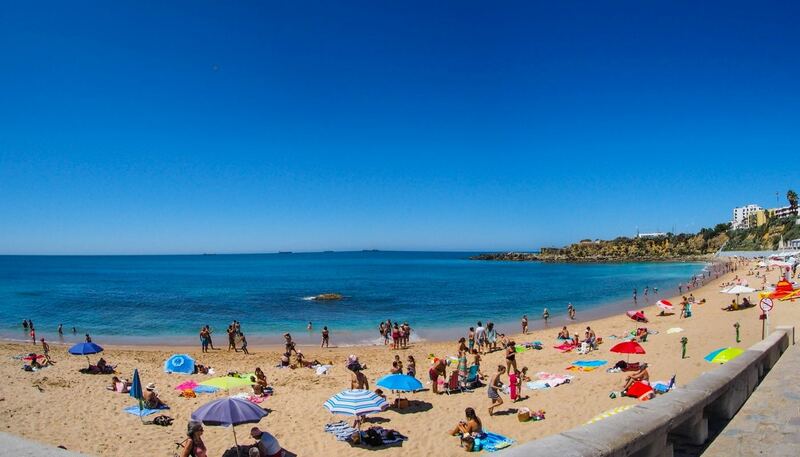 If you continue south, Praia da Rainha offers a good beach break. 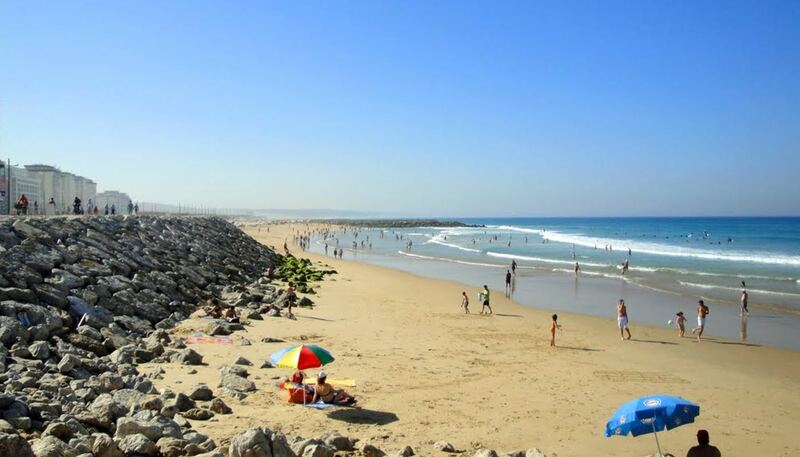 Costa da Caparica is lined with hotels, resorts and bed and breakfasts, starting at around 75 euros a night (you should reserve in the summer). There are plenty of places that will make a package of surf lessons and stays, such as Mr. Ziggy’s Surf House. Or you can pitch a tent or rent a bungalow 200 meters away from the waves at Camping Orbitur Costa Caparica. The biggest town, Almada, has completely lost its fishing roots to tacky concrete boxes and mega shopping malls, and it offers basic lodging starting at 35 euros a night. Or drive another 4km over the bridge and stay in Lisbon instead (which has luxury accommodations, hostels and camping). You can drive across the 25 de Abril Bridge and follow signs for Caparica, and keep going south along the coast until you find something you like. You can also take a 15-minute ferry from the Terminal Fluvial at Cais do Sodre (behind the train station) to Cacilhas (a great destination too, see below). 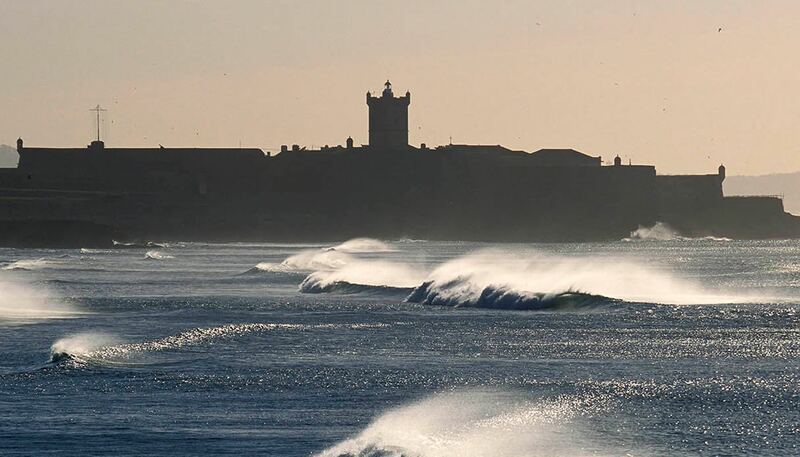 From Cacilhas, take an express or regular bus to Costa da Caparica. During the summer, you can then continue up to 8 more km south on a tiny little train that costs an exorbitant 5 euros. Exploring the beaches is fun by itself – there are many hidden ones, some next to cliffs, some spilling out of a forest, and you can hike the Fossil Park Protected Area. For manmade sights, try the Convento dos Capuchos, or get close and person to Cristo Rei, which overlooks Lisbon. Cacilhas is a little treasure of cheap and very good seafood restaurants, most of which serve a massive shell fish combo for two, including crabs the size of rottweilers. It has a section of abandoned warehouses lining a disappearing pier – all overlooking Lisbon – at the end of which sits Restaurante Ponto Final, where the table on the jetty is probably the most romantic place to for seafood this side of the Atlantic.